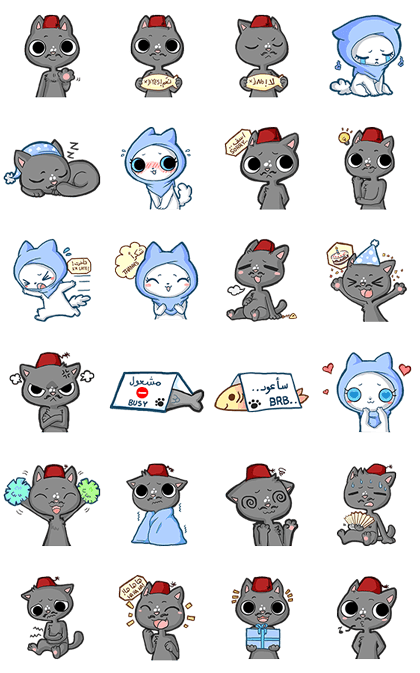 http://www.line-stickers.com/ – Felfel & Semsema Line Sticker | Felfel and Semsema are Egyptian Mau cats who love to express themselves in various ways. Felfel & Semsema stickers suitable for everyday situations. Available till May 31, 2015.